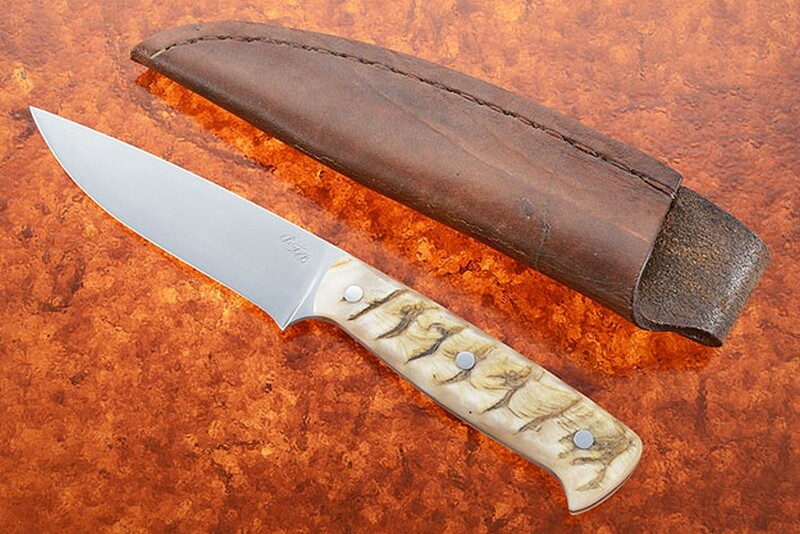 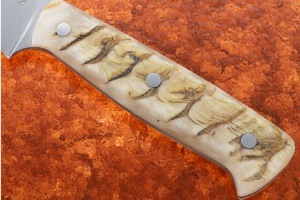 The natural texture of the sheep horn handle provides a sure, comfortable grip. 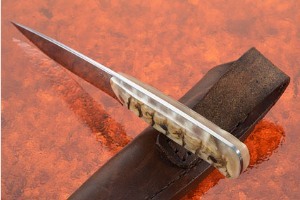 The knife is accompanied by a pouch style leather sheath that is sure to keep this knife at the ready when not on display. 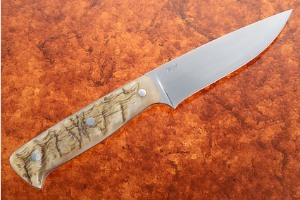 An excellent knife from Bill Burke that is a unique digression from his norm, and truly a superior little performer!